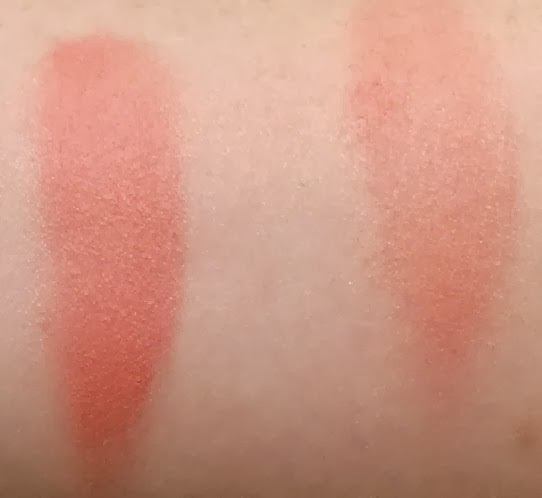 My first "official post" as a more permanent contributor to Make Up For Dolls is my review of the new Clarins SS 2014 eyeshadow quad and blush. This is slightly ahead of the preview post, which will be published tomorrow. With the weather taking us all, quite literally, by storm, let's wrap up, get cosy and console ourselves with the beautiful array of spring makeup launches that are about to hit our beauty counters - let's make a cuppa and daydream about fluffy clouds, pinks, pastels and peachy cheeks. The collection I'm focusing on today is the Clarins Opalescence Collection. As Clarins so poetically put it, "Opalescence celebrates the end of winter with a harmony of delicate, luminous colours. The weather turns milder, full of softness and lightness. It’s time for delicate, romantic make-up, bursting with freshness. The complexion glows. Rosy cheeks express a beautiful, poetic timidity. The eyes light up and lips are glossy". Romantic makeup, bursting with freshness? Count me in! I have two pieces from the collection for review today and they are the eye quartet mineral palette in Vibrant Light and a cream blush in #02/Candy. Let's start with the eye palette. First up, the packaging. Isn't it beautiful? 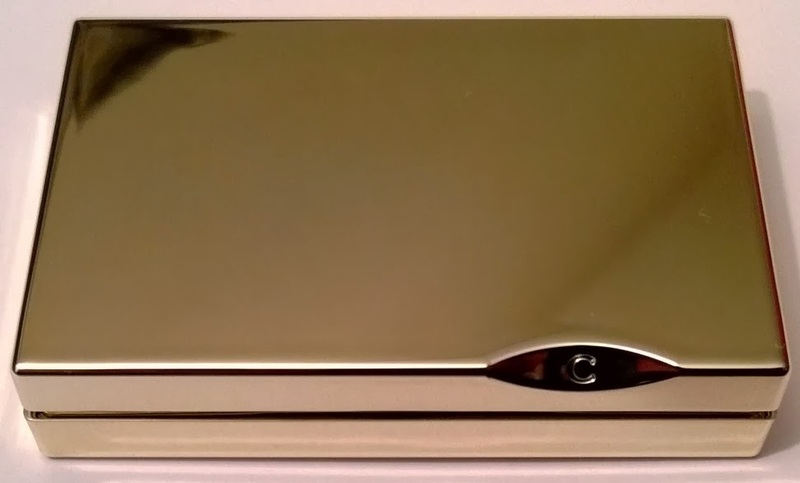 It's sleek, glamorous and fits easily into the palm of your hand (good for travelling). Clarins have provided a very helpful little guide as to how you might wear these colours, which I think is a great idea for those of us who may not be as confident/knowledgeable as others are when it comes to applying eye shadow. There are four colours in this palette. The first colour, on the top left hand corner as you look at it, is a beautiful cool toned pink. It's a little on the chalky side but don't let that put you off, as it applies beautifully. I've used this colour both as a base and a highlighter. One a side note, this colour really makes my blue eyes pop! The colour to its right was the only let-down colour of the palette, which is a pity as it looks fabulous in the pan - the glitter is chunky disco-ball-on-your-face territory, with lots of fallout; the only way I found I could make this shadow wearable was to gently pat it onto my eye lids. The bottom row of colours are, hands down, the knockout colours of this palette. I absolutely love them. They're slightly softer in texture than the pink and apply like a dream. The bottom left colour is a sumptuous aubergine purple and to the right of it, a rich slate grey (which came up slightly green when I took the pictures). Divine. End of. The way I've worn this palette the most is to use the pink as a base, the grey in my crease and the purple on my lash line (and then heaps of mascara). Sometimes I'd swap the grey and purple. There's a lot of love online for this palette and I can see why. 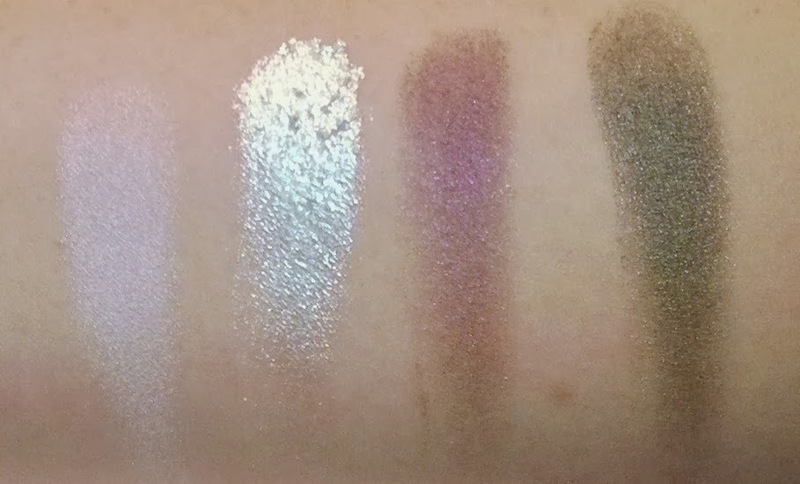 Despite the disappointing silver shade (right now, I can't find another online review anywhere that complains about the silver shade so it's likely just me! 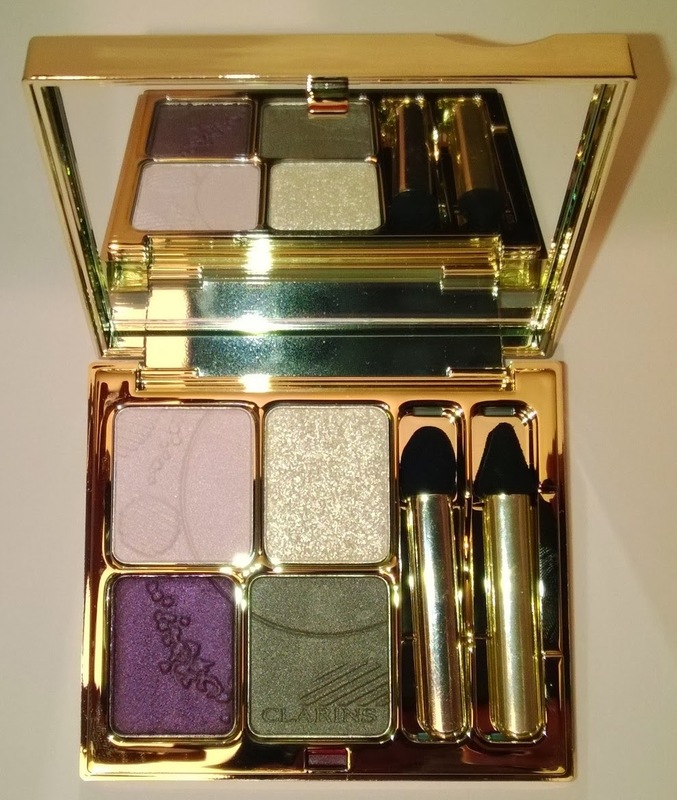 ), I would still recommend this palette as the other three colours are definitely worth the price (€41) and as importantly, completely wearable. Next up is the cream blush (which can also be used on your lips too). I have the colour #02 Candy. 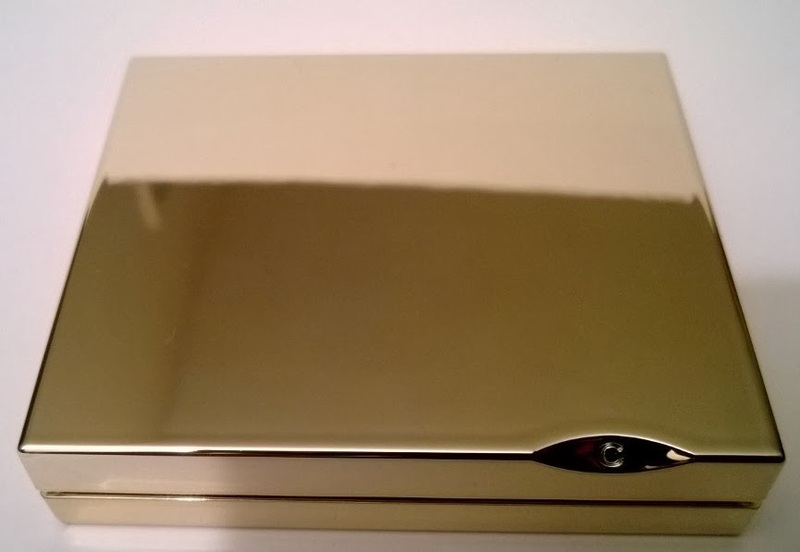 The blush is in the same gorgeous, gold packaging as the eye shadow palette, just in a smaller size. Given the name, I thought it would be more pink toned but in fact it's a vibrant orangy-coral colour. When I first saw it, I thought that the colour would be far too crazy for my fair skin. But it doesn't. It looked absolutely gorgeous! It gives a soft, hazy glow of colour that will make you smile when you see your reflection in the mirror. The texture is soft and creamy but not too soft, which is good when it comes to application. Which is fool-proof. Seriously. I genuinely believe that nobody could mess up applying this. You could probably put this on in the dark and it would still look amazing. I applied it with a small stipling brush (MAC #130) but you could just as easily use your fingers. It's a cream-to-powder finish formulation and it feels like across between cashmere and silk. Seriously. 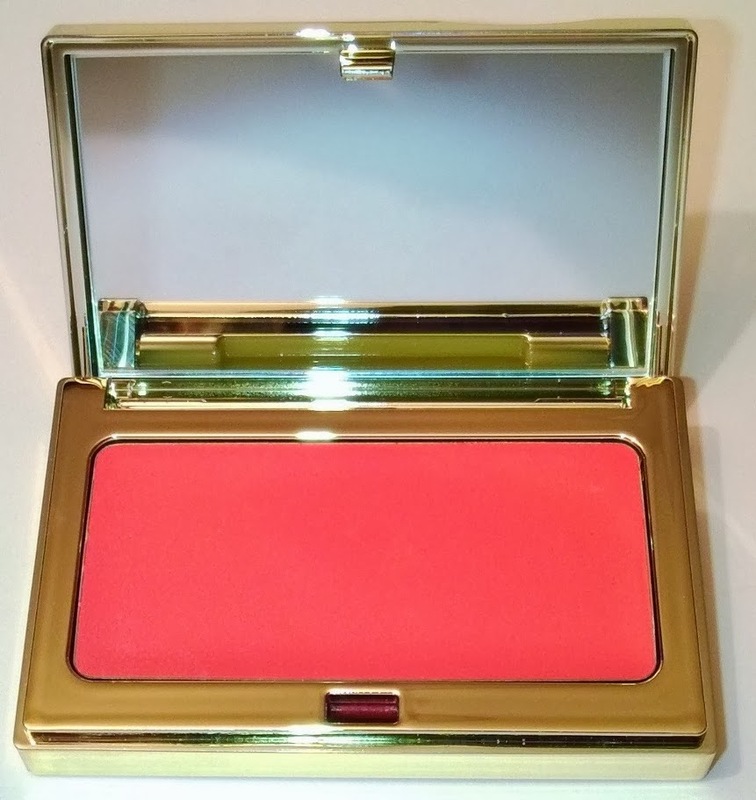 This absolute gem of a product has opened my eyes to wonders of the cream blush universe! I like it so much, I want to go and check out the other three colours that will be available (#01/Peach, #03/Gerandine and #04/Rosewood). The Clarins Opalescence Spring collection for 2014 launches on-counter the week of 13th January (today, today, today!!!) Preview post will follow tomorrow, and some other product reviews in due course. Products gratefully received as PR sample.